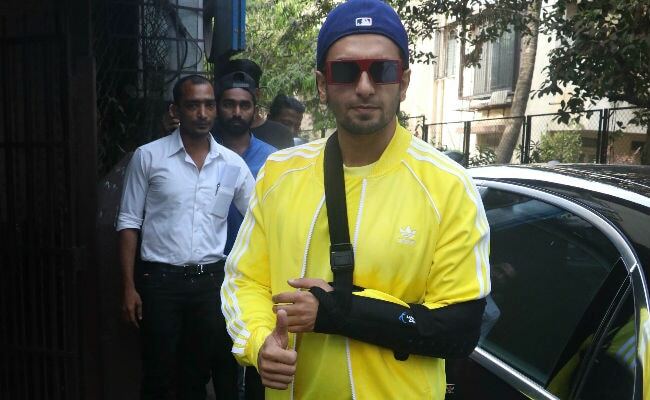 Ranveer Singh, recuperating from shoulder injury, spotted in Mumbai. Sorry folks, there won't be any Khalibali at the opening ceremony of the Indian Premier League on April 7, as Ranveer Singh won't be performing, reports news agency IANS. The 32-year-old actor injured his shoulder during a football match and the doctors have advised against performing at the event. "After multiple medical checkups, the doctors have strongly advised Ranveer Singh not to perform at this year's IPL opening ceremony in which he was doing the grand finale act. 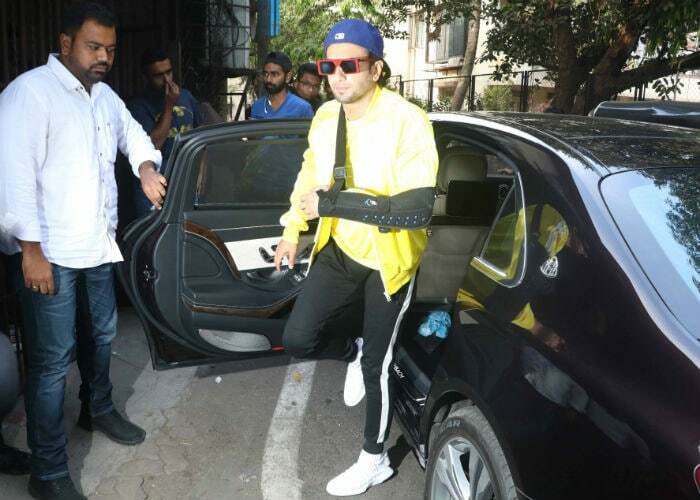 They feel his high-energy performance would only overstrain his shoulder and aggravate the injury," Ranveer's spokesperson said in a statement. Ranveer Singh's performance was scheduled to close the opening ceremony. However, Ranveer's shooting schedule for Zoya Akhtar's Gully Boy remains unchanged. "Ranveer will continue to shoot for 'Gully Boy' as per its shooting schedule which is not physically strenuous since only performance-based talkie scenes are left to be shot," the spokesperson said. In Gully Boy, Ranveer Singh plats plays the role of an aspiring rapper. The film also stars Alia Bhatt. Ranveer Singh was last seen in Sanjay Leela Bhansali's "Padmaavat," in which he played the role of Alauddin Khilji. Apart from Gully Boy, Ranveer Singh has signed up for Rohit Shetty and Karan Johar's Simmba, co-starring Sara Ali Khan. Simmba is expected to hit the screens later this year. Ranveer Singh also has Kabir Khan's '83 up his sleeve. The film will depict team India's journey to win the World Cup in 1983 and Ranveer will play the role of Kapil Dev.